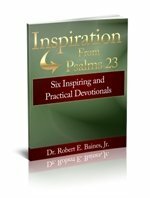 This page features Christian resources that I recommend. As time goes along, you will see books, eproducts, and the like that will benefit you in your efforts to live a Christian life. Please support this website by purchasing helpful products from it and having your loved ones do the same. Light remodeling, minor repair or major reconstruction? Every marriage could benefit from some fun, extra-curricular activities to keep the romance alive. Blueprints for a Solid Marriage helps time-strapped couples quickly assess and enhance their relationships with engaging stories and a detailed plan for "marriage improvement projects." If you have some resources that you would recommend that I review to be included on this page, feel free to contact me about them. We are always open to quality and helpful Christian living information. Quality includes being able to defend the material from a Christian perspective. Helpful means that the emphasis is more on practical living than theoretical discussions.